With a series as old as Assassin’s Creed, the status quo must change at some point. 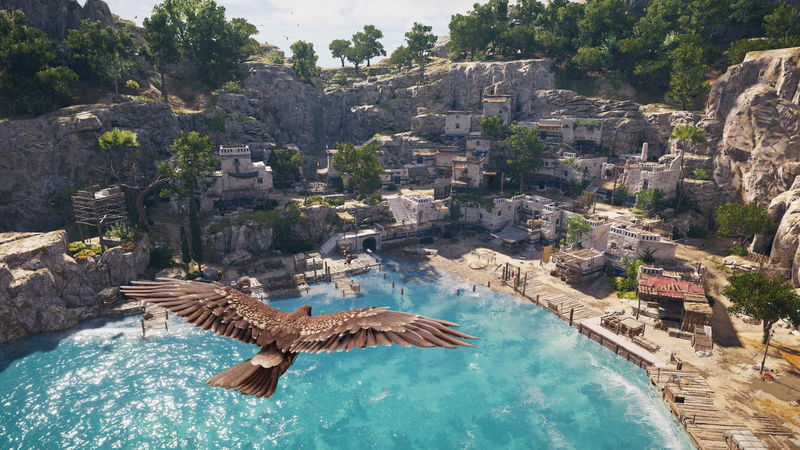 Apparently, the forthcoming launch of Assassin’s Creed Odyssey marks one such point. Previously described as a “full-on RPG,” this new entry in Ubisoft’s prized series isn’t backing down from that stance. According to Senior Producer Marc-Alexis Côté, Assassin’s Creed has been poised for this transformation for some time. Odyssey merely completes the cycle. Odyssey is this final transformation of Assassin’s Creed into an RPG. It feels like the true 2.0 version of Assassin’s Creed. We always planned this to be a two-step transformation and this one takes the final step. I feel like it can now truly be called an RPG. We try to make things have meaning. For better or worse, you will not have horse races for example. We’ve tried to make everything make sense in the life of a mercenary. It’s there for you, it’s built around this character and it’s there to add value. The steps taken for the series’ makeover don’t just involve gameplay. Player agency constitutes an equally important part. Allowing players to decide what’s right or wrong within the game world has never fit into Assassin’s Creed’s brand of storytelling. However, Côté said it was central to the development of Odyssey. When we starting building Odyssey–I’ve been working on the franchise for what feels like most of my career now–one of the things that I’ve always felt that we’ve lacked–not to pass judgement on our past games which I’ve been a part of–we’ve lacked agency in these games. Depending on what you answer, it may lead to an entire quest line down the road. We’ve taken the approach where we don’t tell you you’re about to make an important choice. We tell you at the beginning to be careful about the choices you make because they may have–we don’t promise anything–an impact. We try to keep this very blurry so players are always looking for the consequences of the actions they’ve taken. Assassin’s Creed Odyssey launches on October 5, 2018.